The Best Christian Counseling Blogs from thousands of Christian Counseling blogs on the web using search and social metrics. Subscribe to these websites because they are actively working to educate, inspire, and empower their readers with frequent updates and high-quality information. 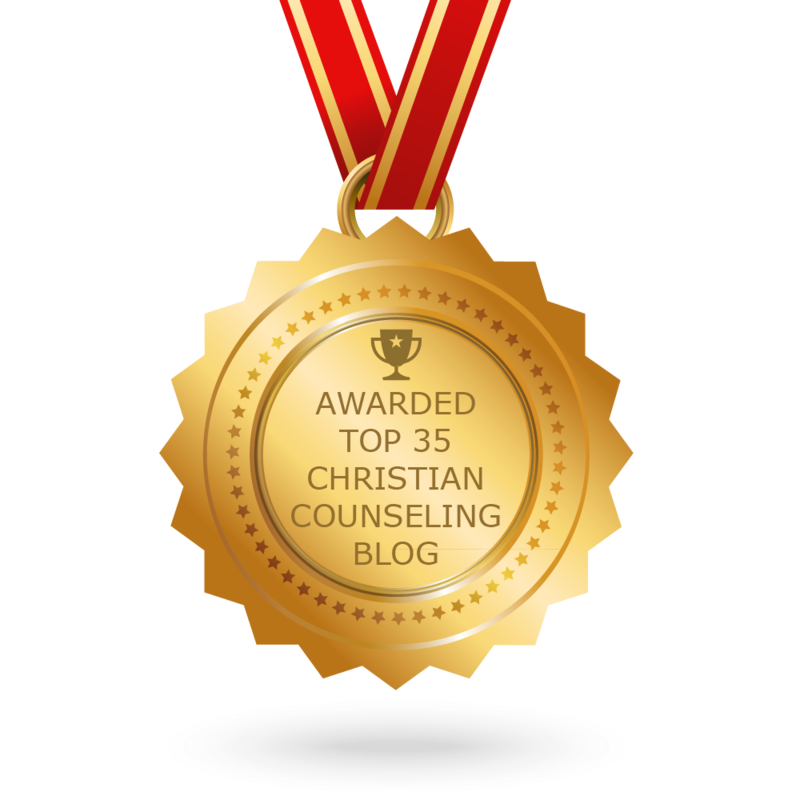 CONGRATULATIONS to every blogger that has made this Top Christian Counseling Blogs list! This is the most comprehensive list of best Christian Counseling blogs on the internet and I’m honoured to have you as part of this! I personally give you a high-five and want to thank you for your contribution to this world. Christian Counseling newsletter is a comprehensive summary of the day’s most important blog posts and news articles from the best Christian Counseling websites on the web, and delivered to your email inbox each morning. To subscribe, simply provide us with your email address. Louisville, KY About Blog For nearly 40 years, the Association of Certified Biblical Counselors has been certifying biblical counselors to ensure doctrinal integrity and to promote excellence in biblical counseling. On this edition of Truth in Love Brad Bigney helps us think through the issue of sexuality in marriage, in particular when it is not going well. Facebook fans 14,254. Twitter followers 5,893. Lakewood, Colorado About Blog Our Christian counseling blog is perfect for Christians who want to know more about individual and marriage therapy topics from our experts. Facebook fans 644. Twitter followers 131. About Blog The BCC exists to strengthen churches, para-church organizations, and educational institutions by promoting excellence and unity in biblical counseling as a means to accomplish compassionate outreach and effective discipleship. Facebook fans 6,947. Twitter followers 5,749. Minneapolis, MN About Blog Celebrating the truth that God is most glorified in us when we are most satisfied in him, we exist to produce and distribute resources that spread a passion for the supremacy of God in all things for the joy of all peoples through Jesus Christ. Facebook fans 979,779. Twitter followers 477,139. Chicagoland, IL USA About Blog Biblical Counseling Center helps you apply God’s truth to life’s struggles, for your good and His glory. We provide counseling, training, church partnership, and great resources on a wide range of topics. Facebook fans 2,340. Twitter followers 994. Orefield, PA About Blog I am a national and international speaker, author, licensed clinical social worker, consultant and relationship coach with an expertise on the subjects of personal and spiritual growth, marriage improvement, conflict resolution, depression, child abuse, destructive relationships and domestic violence. Facebook fans 17,189. Twitter followers 2,301. Glenside, PA About Blog Our counselors serve individuals, couples, and families in need at our three locations. We provide consultation with pastors and other counselors. We mentor counselors through our internship program and supervision groups. Facebook fans 34,948. Twitter followers 19,196. Tampa, FL About Blog Above & Beyond Christian Counseling focuses on providing excellent Christian counseling and deliverance ministry services. We have offices in Tampa, Clearwater and Temple Terrace, FL and also in Richmond, VA. We provide services to clients locally (FL) and all over the world via the Internet. Facebook fans 2,178. Twitter followers 5,763. Oklahoma City About Blog Resources for engaged and married couples. To encourage, empower and work together to get the divorce rate to zero and help us all have awesome marriages. Facebook fans 157,486. Twitter followers 101,668. About Blog The Center for Biblical Counseling exists to help men, women, and children come to Christ for help in their times of trouble. Our counseling is Christ Centered, Biblically motivated, and Spirit empowered. Facebook fans 267. Twitter followers n/a. World-Wide About Blog At the AACC, we understand the challenges in helping others. And whether you are a pastor, clinician, physician or lay helper, we exist to serve you faithfully as you care for others. Facebook fans 54,839. Twitter followers 3,562. About Blog Our mission is uniquely Christian. We have a strong conviction that the goal of therapy should include both Psychological and Spiritual wholeness, though in different proportions depending on the setting, theory of the therapists and expectations of the client. In our judgment the best way to accompilsh this goal is through a qualified Christian therapist. Facebook fans 1,138. Twitter followers n/a. About Blog We provide faith-based whole person care for your complete care and recovery. Dr. Jantz and his staff have addressed the emotional, relational, physical and spiritual aspects of the healing process for men, women and adolescents. Facebook fans 5,193. Twitter followers 8,467. Richardson, TX About Blog The Marriage Place Blog features articles and discussions on marriage counseling, parenting issues and individual therapy. Facebook fans 2,405. Twitter followers 130. KC, MO About Blog A place to find truth from God’s Word, to read book reviews and inspiring true stories of the faith. A place to learn about the key to successful change. The Mission of Biblical Counseling for Women is Heart Change for Life Change. Facebook fans 1,172. Twitter followers 820. Tamarac, FL About Blog Living Water Christian Counseling exists to provide Christian-based, sane, and stable counseling to individuals, couples and families so that people experience life change emotionally, mentally, relationally, and spiritually. Facebook fans 121. Twitter followers n/a. Overland Park, KS About Blog Our mission is to help individuals and families who have been impacted by trauma or adversity recover from their psychological wounds, regain control of their lives and re-establish a sense of safety and security in life. Facebook fans 435. Twitter followers 25. Cleveland, OH About Blog Counseling One Another is built upon the biblically-based philosophy that counseling is the normal work of believers in the context of the local church. Facebook fans 1,146. Twitter followers 965. About Blog Christian Licensed Marriage/Family Therapist/Counseling Pastor — Surrounded by life, always needing wisdom, seeking to keep my eyes upon God. Facebook fans n/a. Twitter followers 617. Peoria, AZ About Blog Arizona Christian Counseling provides pastoral counseling for adults, teens, couples, and families. We are located in Peoria, Arizona. Facebook fans 756. Twitter followers 312. About Blog Dr. Jay Adams is the founder of the modern biblical counseling movement and is the author of the ground-breaking book Competent to Counsel. The Institute for Nouthetic Studies exists to make Dr. Adams’ teaching ministry conveniently available to students around the world. Facebook fans 2,323. Twitter followers 45. Fort Collins, CO About Blog Emery Counseling can handle a broad range of issues, from infidelity, eating disorders, depression, anxiety, or PTSD. Emery Counseling is here to help individuals, couples, and families. Facebook fans 346. Twitter followers 5. Facebook fans n/a. Twitter followers 2,485. UK About Blog Christ-centred change, enabled by the Spirit, through the ministry of the Word, in the local church. Vision We are committed to Christ-centred change, enabled by the Spirit, through the ministry of the Word, in the local church. Facebook fans 395. Twitter followers 1,008. Phoenix, Arizona About Blog Family Christian Counseling Center of Phoenix serves families from a faith based perspective that respects personal faith tradition. They offer a wide range of counseling services for all. Facebook fans 321. Twitter followers 56. Temecula, CA About Blog Total Wellness Resource Center strives to offer a variety of innovative programs designed to meet individuals right where they are and help bring balance into their lives. We believe that true, sustainable wholeness can only be achieved by starting with a solid foundation of biblical truths. Facebook fans 315. Twitter followers 4,242. Hinsdale, IL About Blog I am a relationship specialist. My passion is about transformation. With a background in professional counseling and executive coaching I have the opportunity to help people overcome challenges in their interpersonal relationships. Facebook fans 94. Twitter followers 252. About Blog I am a Board Certified Christian Counselor by the Georgia Board of Examiners for Christian Counselors & Therapists. My specialty is working with youth and their parents, and women of all ages. In fact, recently, I’ve spent a lot of time working with college-aged young women and they’ve reached a special place in my heart. Mooresville, NC About Blog Read about counseling in the areas of personal growth, marriage, and parenting. This blog covers a wide variety of topics including communication in marriage, conflict resolution, parenting tips, anxiety, panic attacks, etc. Facebook fans 433. Twitter followers 237. Crown Point, IN About Blog We exist to equip you to change lives with Christ’s changeless truth. Through speaking, writing, and consulting, we empower you through Christ-centered, comprehensive, compassionate, and culturally-informed biblical counseling and spiritual formation. Facebook fans 1,428. Twitter followers 6,686. About Blog Christian counseling for marriage, individuals, families. My Life Counsel offers face-to-face and online video Christian counseling sessions. Our trained, professional and mastered leveled counselors integrate a biblical worldview and counseling therapies. Facebook fans 193. Twitter followers n/a. The post Top 35 Christian Counseling Blogs, Websites & Newsletters To Follow in 2018 appeared first on Feedspot Blog.